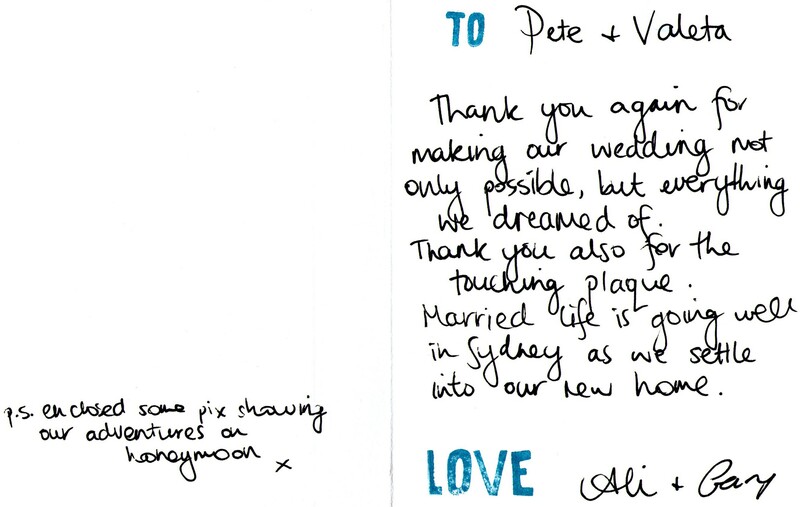 "We feel absolutely blessed to have had you (Peter), as our Celebrant, and even more delighted to be able to call you our friend. You enabled us to have the right mix of humour and love without losing any of the magic!... and all this with very little input from the Bride and Groom. It takes a very special person to be so intuitively aware of someone's need and get it so right!" 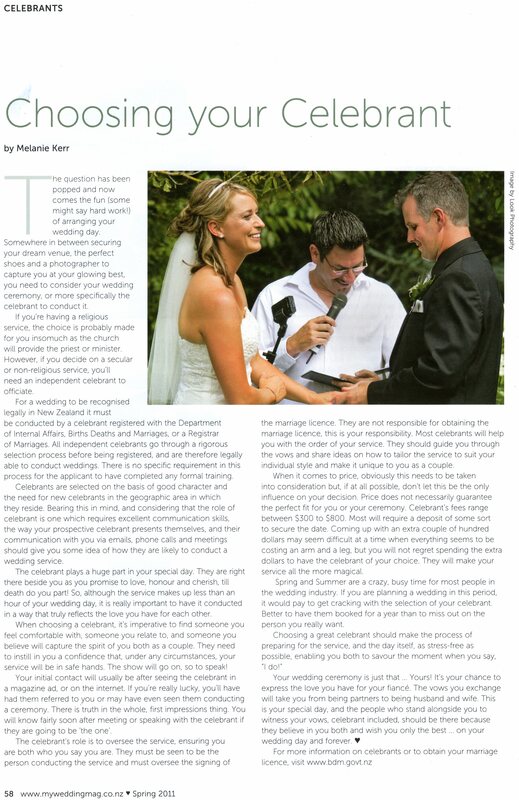 An article featuring in the August 2011 issue of Auckland based My Wedding Magazine. Image courtesy of Kapiti Coast based Photographer, Kelvin Teixeira. Wedding ceremony was hosted at the exquisite Hamurana Lodge, Rotorua, New Zealand. (Left to right) Lisa Stanbra, Peter Duncan (officiating Celebrant), and Lisa's new hubby, Kevin Stanbra. 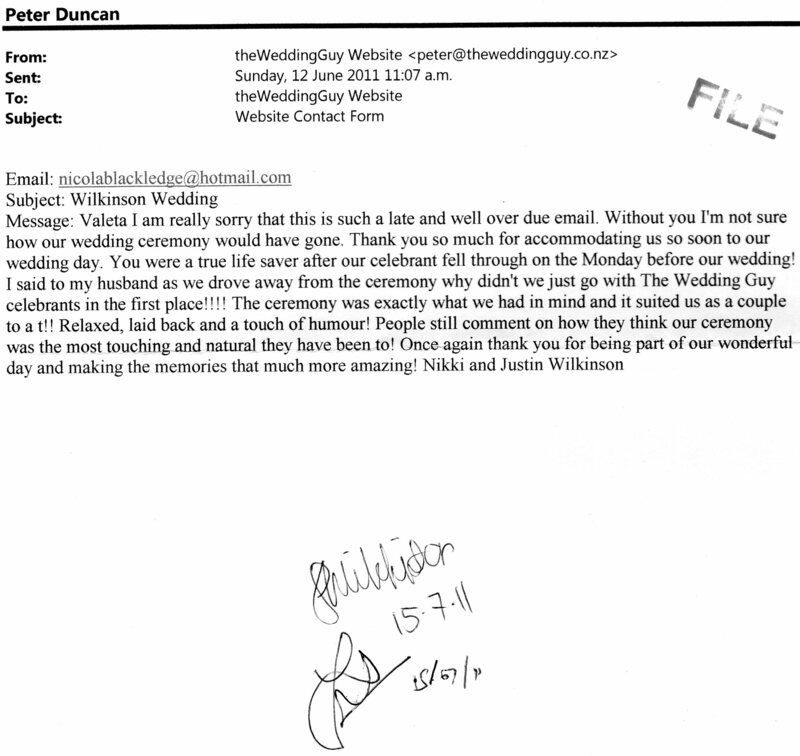 Valeta J. Duncan was officiating Celebrant for Nikki and Justin. Their gorgeous wedding day was hosted at Redwoods Forest under the Sail, Rotorua. Officiating Celebrant, Peter L. Duncan. 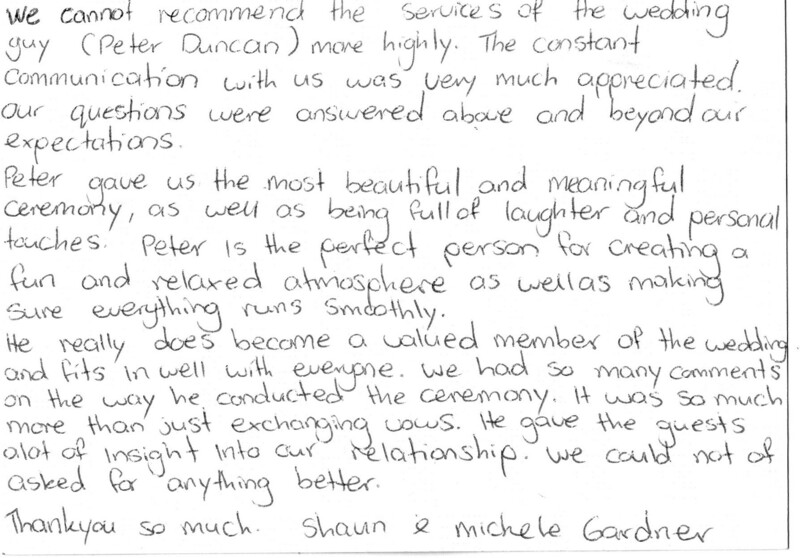 Michele and Shaun's beautiful wedding ceremony was held amidst the tranquility of the Redwoods, Rotorua. This Video clip shot in the beautiful surrounds of one of our Hotel Partners (Princes Gate Hotel, Rotorua). In this first of three episodes Managing Director, Peter Duncan, details the services we offer our clients toward creating their beautiful wedding day memories. 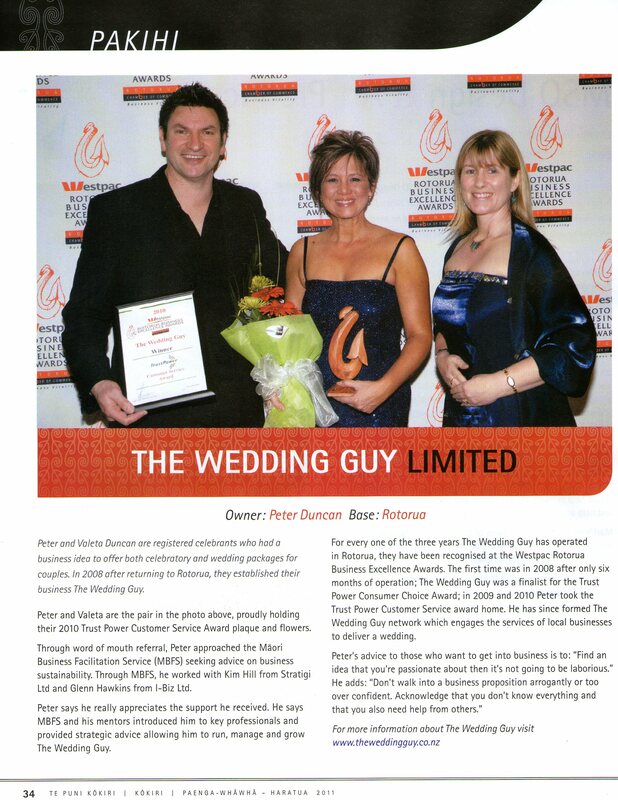 March 2012 Maori Economic Development Booklet featuring an article on The Wedding Guy company - page(s) 10 & 11. Used with permission of Te Puni Korkiri/Maori Economic Development. Rotorua Daily Post Article Dec 4th 2010 - Wedding Firm Wins Again! Article following our second successive win at the Rotorua Westpac Business Awards.